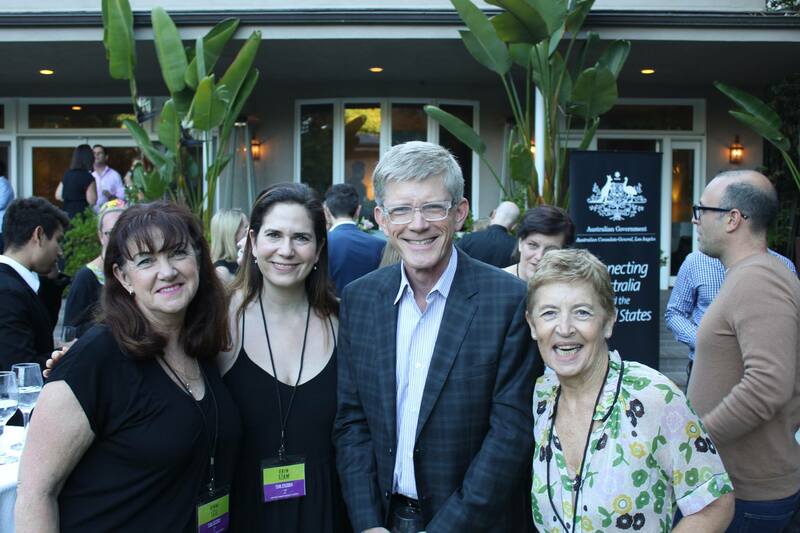 Welcome to the August edition of the Australian Consulate-General in Los Angeles’ newsletter! And of course, don't forget to follow us on Facebook and Twitter! Public Holidays: Please note that the Consulate will be closed on Monday 4th of September in observance of Labor Day Holiday. We'll resume normal hours on Tuesday 5th of September. We’ve launched a podcast! 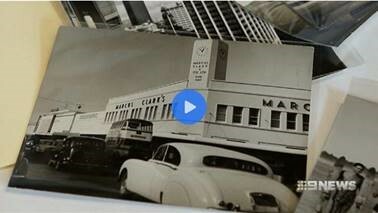 Australian Spotlight will share some of the many remarkable stories of Australian entrepreneurs, innovators and artists in the U.S., and the journeys they’ve taken to get here. Since first launching a record label in his parents’ Melbourne basement, Jaddan has gone on to become one of the most influential music executives in the world. Now based in Venice Beach, we chatted about Jaddan’s beginnings in the music industry, his discovery of triple-platinum singer-songwriter Vance Joy, and his big plans for Australian talent worldwide. You can listen on iTunes or SoundCloud. Since studying journalism in Australia, Jenny has gone on to become one of Australia’s leading entertainment reporters. She regularly interviews Hollywood’s biggest stars and as a member of the Hollywood Foreign Press Association casts a vote in each year’s Golden Globes. We chatted about Jenny’s first job working for legendary comedian Phyllis Diller, her memorable interview with Robin Williams, and the path towards gender equality in Hollywood. You can listen on iTunes or Soundcloud. The world-beating Westfield Matildas were in California for the Tournament of Nations, beating the U.S. (1-0), Japan (4-2) and Brazil (6-1) to take out the championship! It was an historic tour, with the team defeating the top-ranked United States squad for the first time in history, while striker Lisa De Vanna’s double against Brazil made her the Matildas’ top all-time goalscorer. Australia’s Consul-General Los Angeles, Chelsey Martin, joined the team for dinner ahead of their final game, along with Westfield Executive Vice President Scott Grossman and Qantas Senior Executive Vice President for The Americas Stephen Thompson. We again partnered with Ausfilm, Qantas, APRA-AMCOS and the Santa Monica Pier for the annual G’Day USA Australia Rocks the Pier concert. Headlined by Australian indietronica band Miami Horror with Aussie supporting acts Cleopold and Georgi Kay, the event drew some 20,000 cheering fans, one of whom was the lucky winner of two return tickets to Australia provided by Qantas! 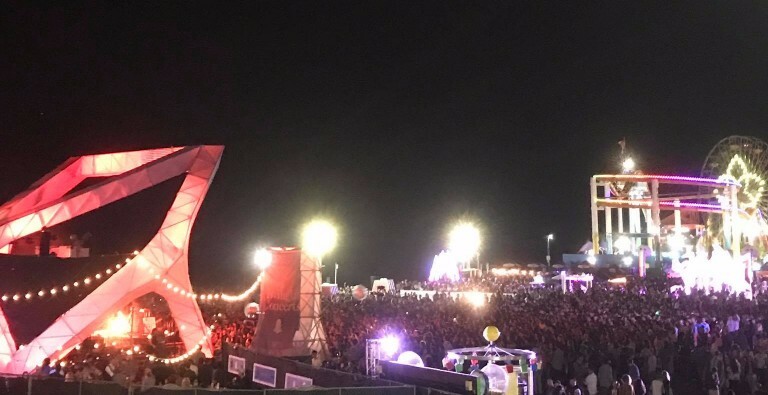 This was the seventh year we have partnered with the Santa Monica Pier, with past artists including Missy Higgins, Ben Lee, Kasey Chambers and Xavier Rudd. 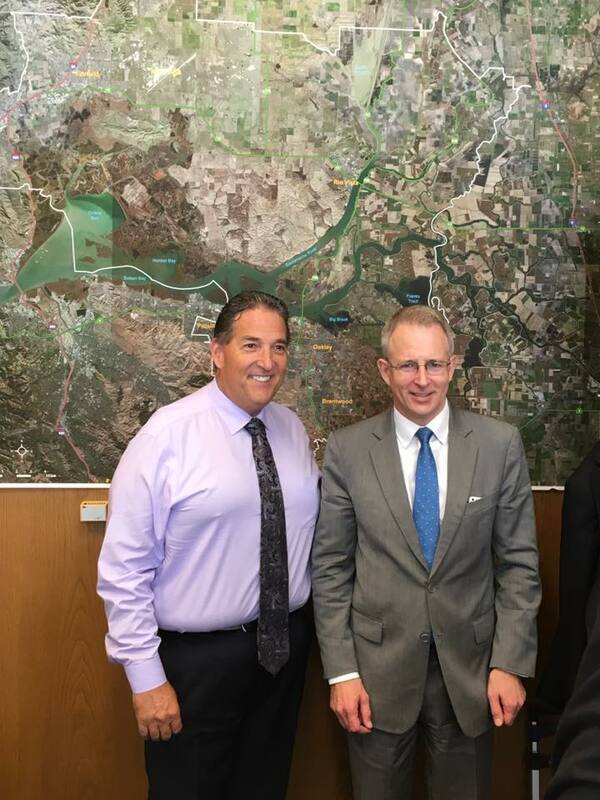 Australia’s Minister for Urban Infrastructure, the Hon Paul Fletcher MP, visited Sacramento last month to exchange infrastructure policy ideas with the office of Californian Governor Jerry Brown, and the chair of the Californian Assembly Transportation Committee, Jim Frazier (left). Together with Ausfilm, we co-hosted a networking dinner for US film and TV executives, Australian creatives and Ausfilm members. The event was part of Ausfilm’s annual Partner with Australia week of activities, showcasing the depth of Australian talent and the benefits of making TV and film in Australia. You can read more here. 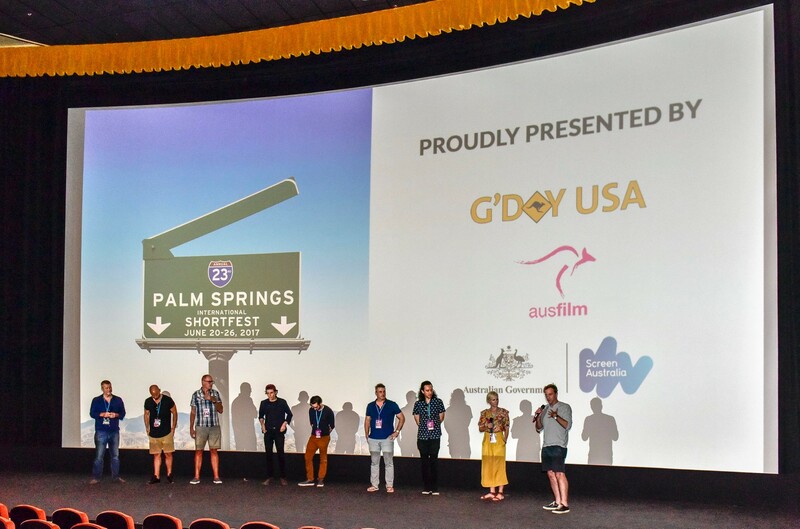 We also partnered with Ausfilm and Screen Australia for the G’Day USA Palm Springs International Shortfest, showcasing Australian talent at the largest short film festival in North America. Crowds braved the 50°C / 122°F heat to catch the 15 Australian films featured at the Festival, selected from over 4,000 submissions from around the world. 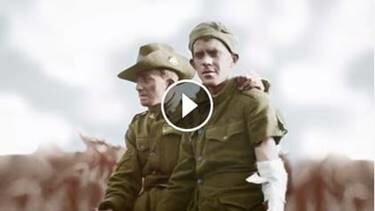 Lost Face, by Sydney based film-maker Sean Meehan, won the ShortFest Online Audience Award! The Australian film-makers then reunited in Los Angeles for a day of mentoring with Hollywood professionals, hosted at Australians in Film. More info on the mentoring program here. Queensland Premier Annastacia Palaszczuk visited California and Nevada, working to boost trade and investment links with Queensland. 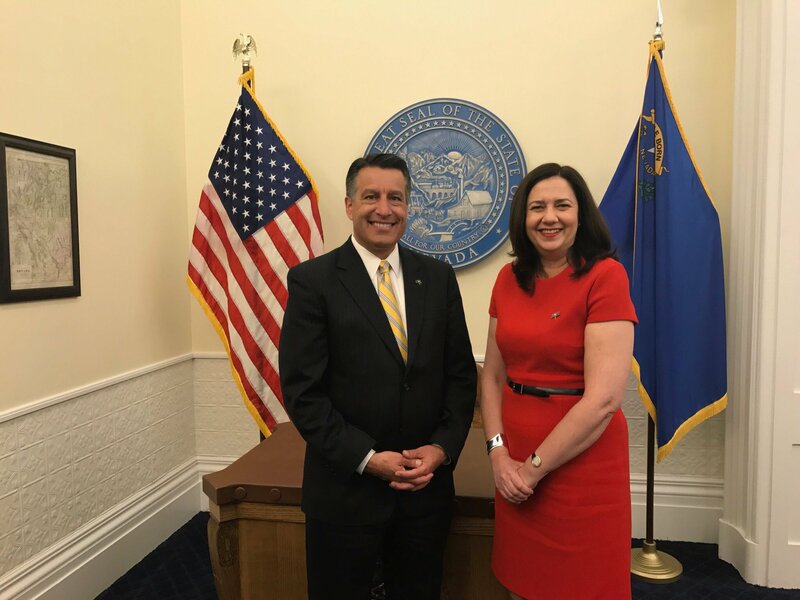 The Premier’s program included a meeting with the Governor of Nevada, Brian Sandoval (pictured below) and the signing of a Memorandum of Understanding between Queensland University of Technology and the University of Nevada on driverless vehicle technology! More info here. 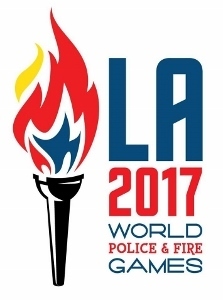 Hundreds of Australian state, territory and federal police are now in Los Angeles for the biennial World Police and Fire Games. The event attracts over 10,000 athletes and is open to active and retired law enforcement and fire service personnel throughout the world. You can cheer on Team Australia! More information available here. Legendary Australian band Midnight Oil is playing at the Greek Theatre on Saturday 19th August, supported by Australian acts The Living End and The Smith Street Band. The concert is part of their Great Circle 2017 World Tour. More information here. We have two pairs of tickets to give away to a couple of our lucky Facebook and Twitter followers – so for your chance to win, follow us and check out for the competition announcement! 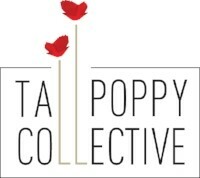 Our partners at the Tall Poppy Collective have some open desks available in a collaborative office space located in West Hollywood’s design district. The team is searching for creative Australian folk to fill the space, so whether you're a graphic designer, photographer, publicist or producer... reach out via info@liveintheprojects.com or (424) 285 - 5055. LA’s own Australian Theatre Company will host a special gala preview of its world premier production of Grey Nomad at the Skylight Theatre on Sunday 10th of September. Missy Higgins will be performing the original music she wrote for the production. Dan Lee’s funny, engaging comedy is about two retired couples who have dedicated their lives to RVing around Australia. Tickets and info available here, and check out this interview with Dan Lee himself. Are you an alumnus of an Australian university living in Colorado? If so, let us know! 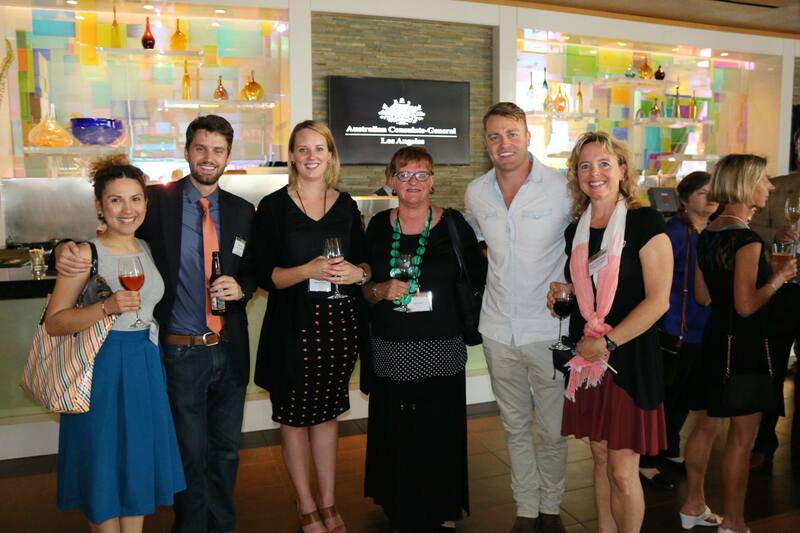 We will be hosting an Australian Global Alumni event in Denver during September. To register your interest, sign up here. Copyright © *| 2017 |* | Australian Consulate-General, Los Angeles |* All rights reserved.